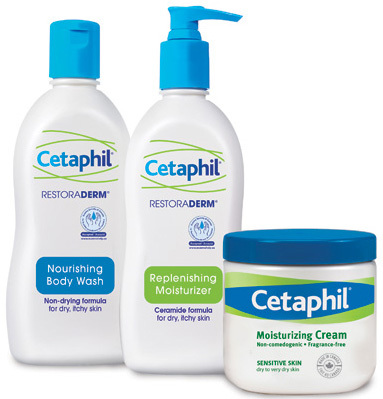 Win 1 of 3 Cetaphil Skin Care Bundles! Contest Closing Date: June 26, 2014. Cetaphil RESTORADERM contains Ceramide technology, to replenish the skin’s natural oils, and Filaggrin technology to bind moisture to the skin and improve hydration. Working together, these technologies restore the integrity of the skin’s moisture barrier and provide long-lasting relief against dry, itchy skin. Cetaphil RESTORADERM has been clinically proven safe and effective for use in children as young as 3 months and awarded the Eczema Society Seal of Acceptance. Visit Cetaphil.ca for more information and to order a $2 coupon off of Cetaphil RESTORADERM products. Like us on Facebook to hear about exclusive contests.